The UK’s No 1 Italian cooking brand is turning 50! To celebrate 50 years of Italian passion, Napolina is offering my readers the chance to go on a culinary adventure. 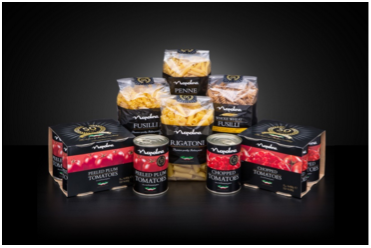 Established in Italy by a Naples businessman, Napolina – or ‘Little Naples’ products have been enabling families across the UK to experience a real taste of Italy for 50 years. From the rich taste of vine-ripened tomatoes to the fine quality olives in the olive oils and pasta made in Italy from durum wheat, Napolina products have 50 years of passion and expertise to make them perfect. An Italian hamper including a selection of Napolina products (please note, it may not be the same as the pictured products above). To be in with a chance of winning, just answer the simple question below and enter your details in the form by 21st December, 2015. What does “Napolina” mean? Hint: Read above to find the answer!